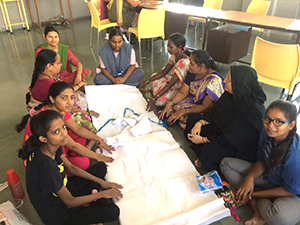 ACT offers a free 3 month basic tailoring course for underprivileged, uneducated and needy women in several communities across Mumbai to empower them with skills that will allow them to work from home or outside. • encourages them to work cohesively and create a self-help group that can become a sustainable working unit in the future. 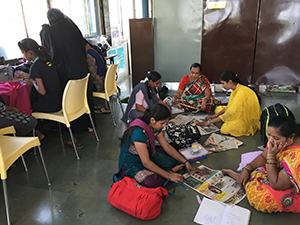 ACT offers a free 3 month basic beautician course for underprivileged, uneducated and needy women in several communities across Mumbai to empower them with skills that will allow them to work from home or outside. Students spend their third month of training applying their learning in practice: ACT provides facilities in a local community centre, a supervisor and all the equipment they need to perfect their skills on friends, relatives and one another! 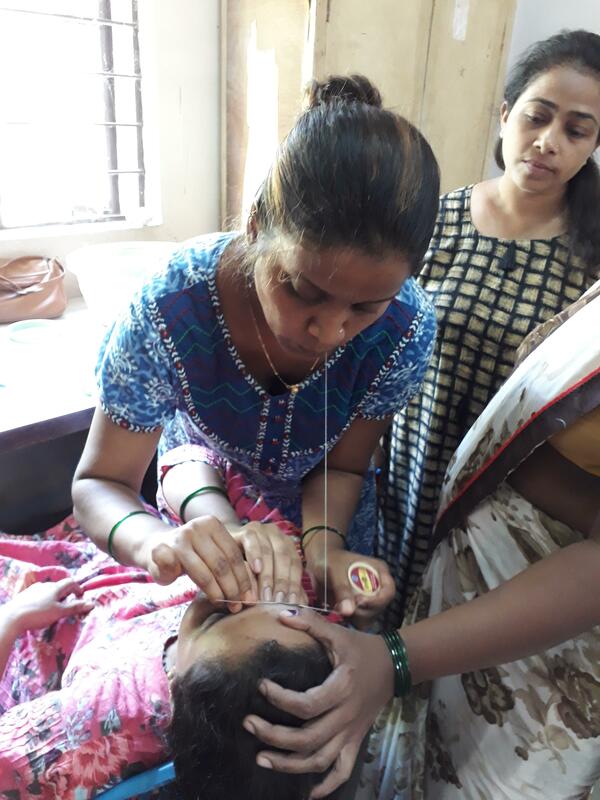 Alongside their skills training, the women participate in fun and interactive life skills workshops, such as financial management and confidence building, to give them the self-confidence to apply their skills to pursue a full-fledged career from home or a beauty salon. 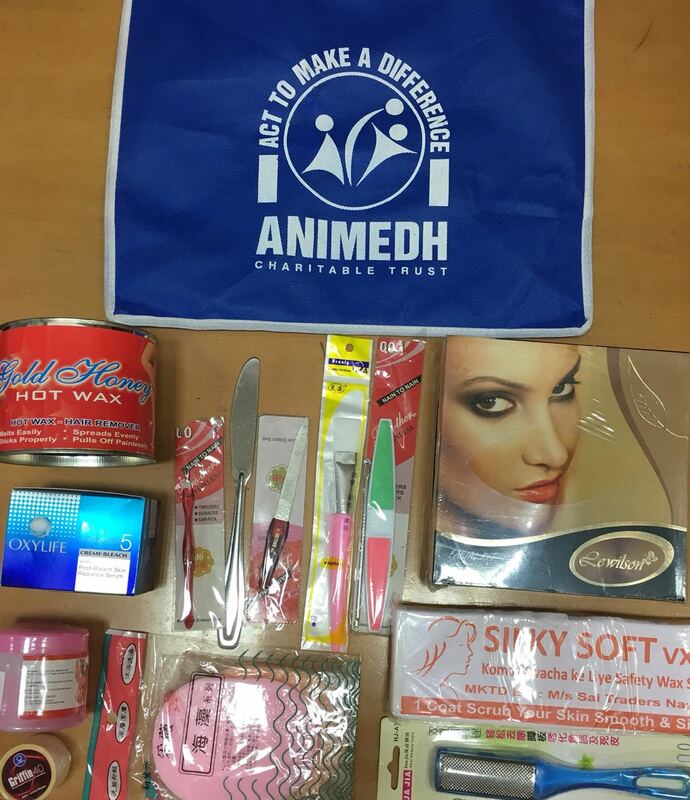 At the end of the course, graduates receive a Career Launch Kit with all the materials they need to begin earning flexibly from home. 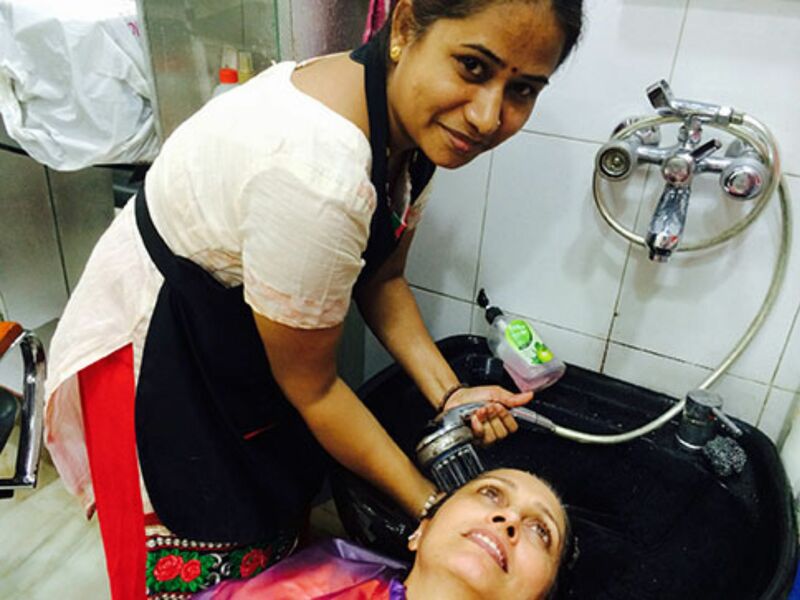 ACT also provides links to local salons and beauty academies, to enable graduates to intern and increase their earning capability. 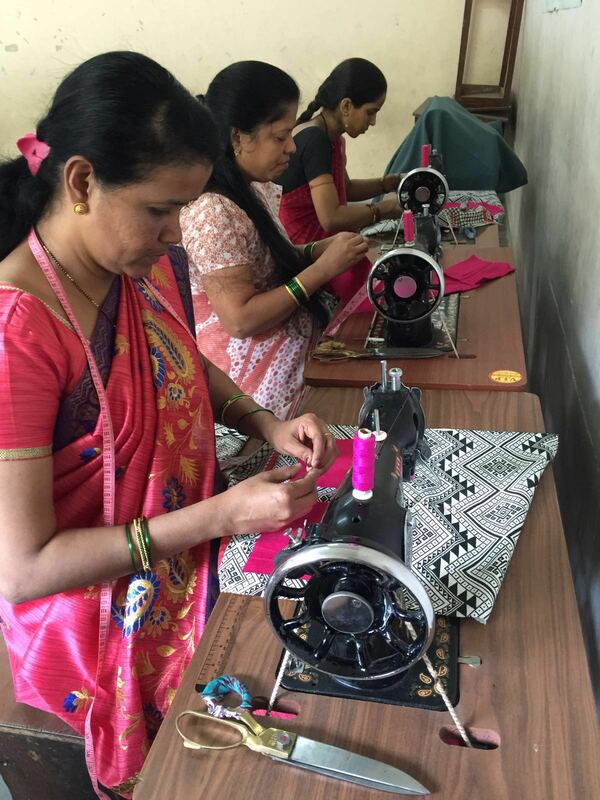 Launched in October 2016 in partnership with IDFC First Bank, as part of its CSR initiative, project Saksham is an advanced tailoring internship to facilitate the transition of underprivileged women to entrepreneurs or major livelihood earners. 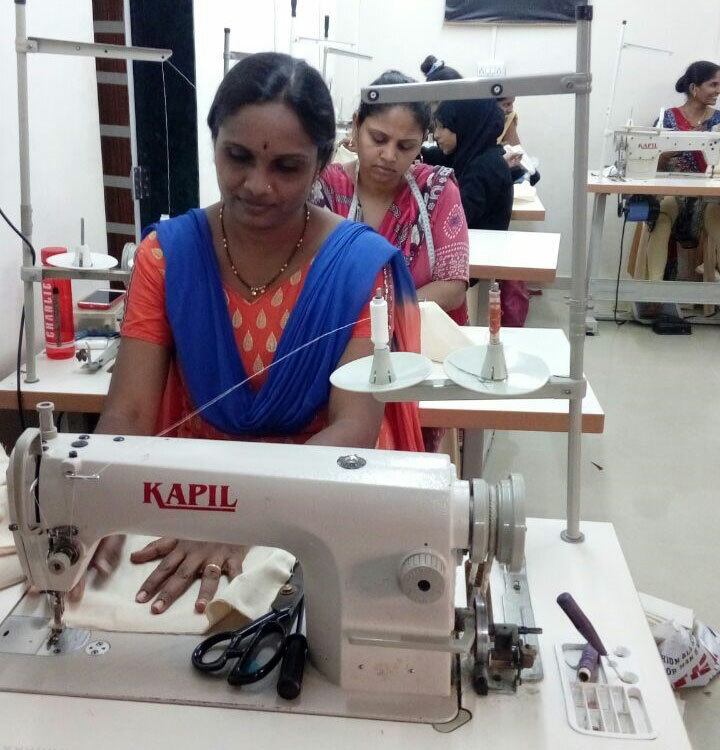 The syllabus has been developed with garment manufacturing companies, who have a great need for such skilled workers, and perceive a huge void of skill required for their industry. 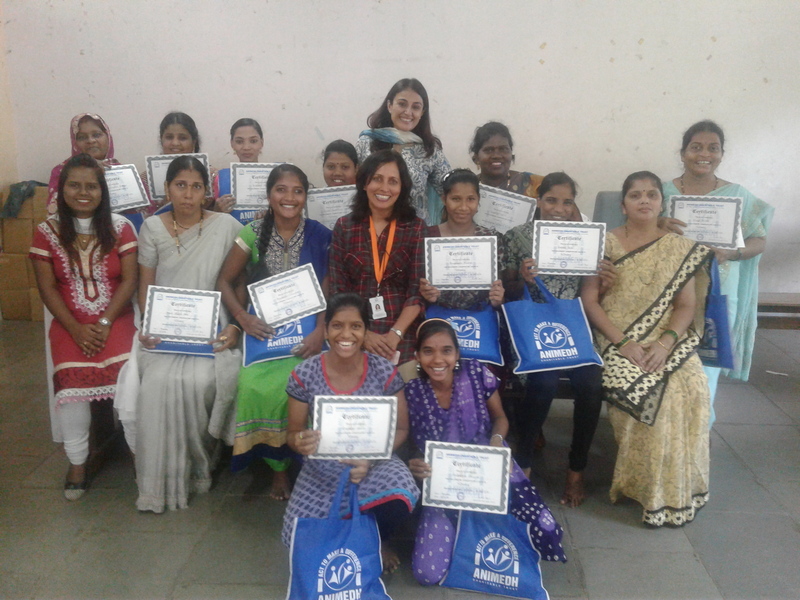 The internship has been designed in a ‘learn and earn’ format: the women earn income during the 12 week training program from products approved and sold to our garment partners, including Meemansa and Smile Multiplier. 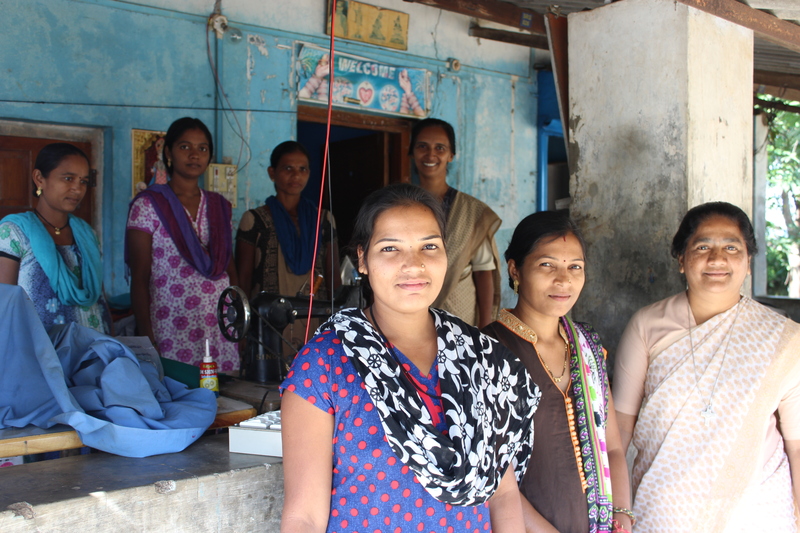 At the end of their training, women are connected with garment manufacturing companies to use their expertise to fulfill orders from home or in factories. 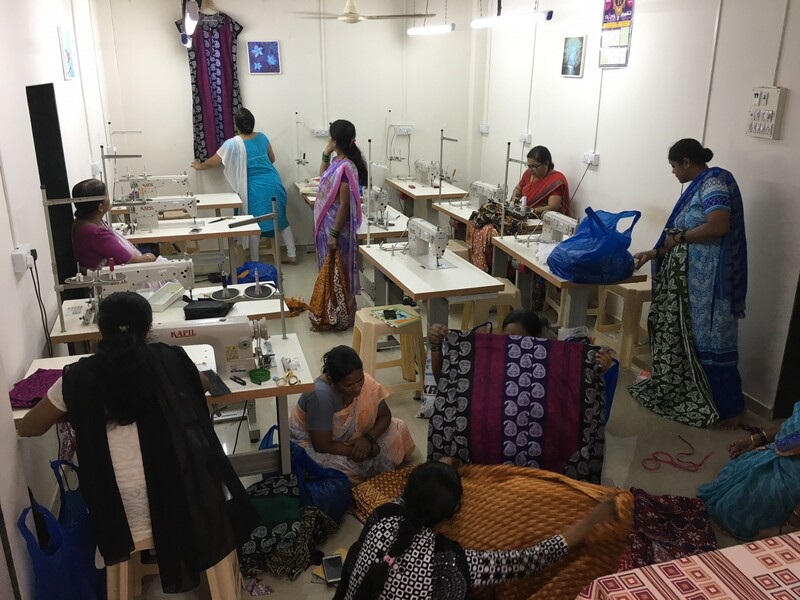 ACT and IDFC First Bank have also dedicated parts of their Saksham centres in Jogeshwari West, Mahakali Caves and Vashi Village to graduates of Saksham, so that those without the space or facilities at home can generate livelihoods through garment partnerships facilitated by ACT. 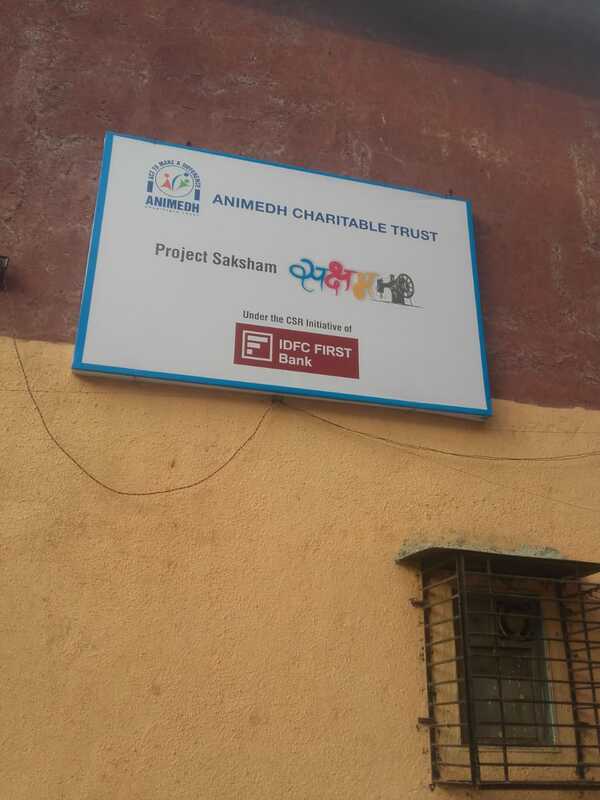 Launched in January 2018, project Samruddhi aims to develop, train and empower Adivasi women of the neglected border villages between Maharashtra and Gujarat, in Dadra Nagar Haveli (DNH). Women in these communities traditionally have few earning opportunities and have suffered exploitation at the hands of employers. 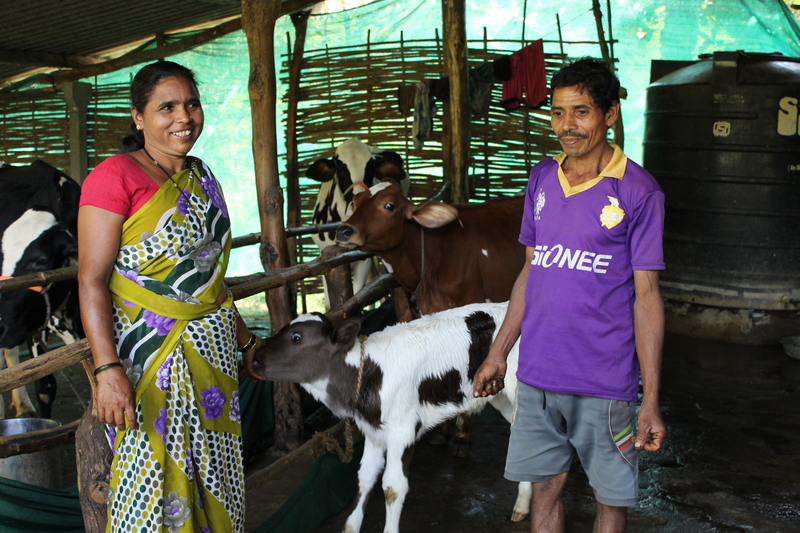 ACT, through Premankur as our implementation partner, provides experiential training, including field visits to successful concerns, on dairy farming, poultry farming, vermi-compost, tailoring, and organic vegetable farming. We also conduct activities to build confidence and assertiveness and assist the women in developing links to relevant markets. We have seen considerable increases in the women’s earnings, in some cases to Rs. 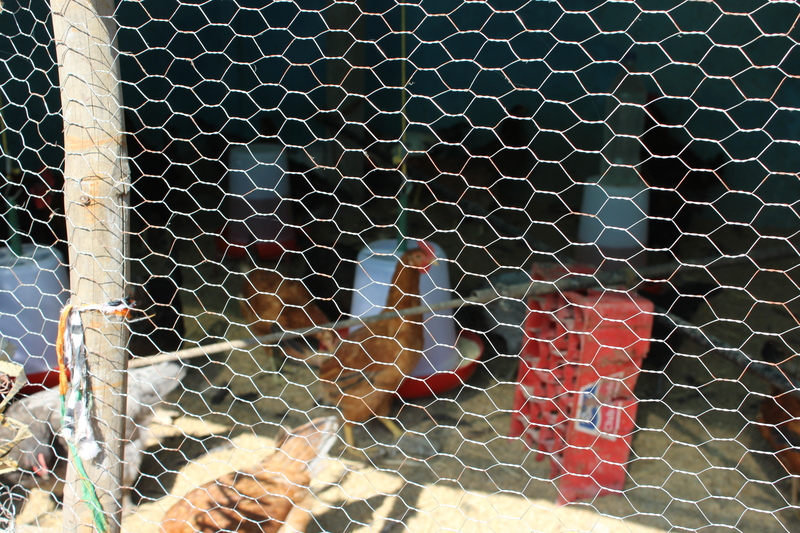 15,000 per month, which gives stability and certainty for them throughout the year. Our aspiration is that these economically empowered women can transform their society from the inside, ensuring their children’s education and developing their communities by participating in village decisions. 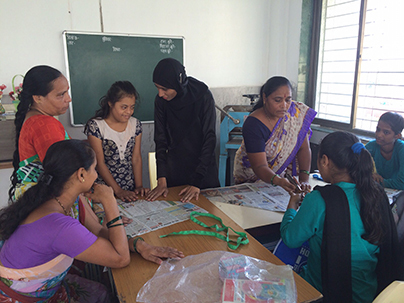 Through this program, ACT imparts vocational training to differently abled girls with mild to moderate learning disabilities and those with hearing impairment in the Navi Mumbai region. 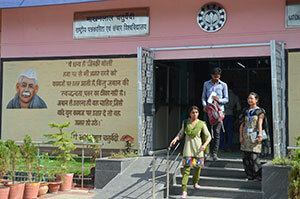 ACT is able to provide this service through collaboration with NMMC ‘etc’ Education, Training & Services Centre for Persons With Disability - a local government organization working towards the rights and welfare of persons with special needs - and Inner Wheel Club of New Bombay (IWC) District 314. 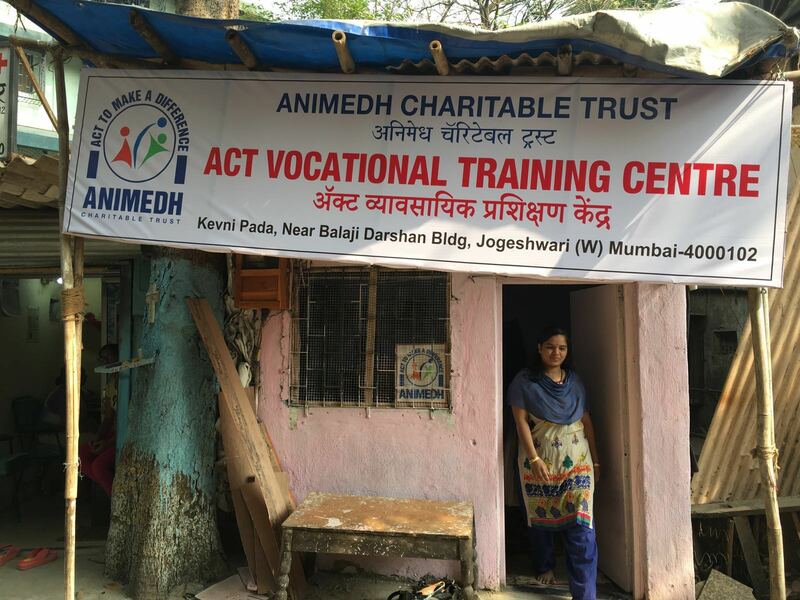 ACT has set up a tailoring class in Navi Mumbai region for the trainees accompanied by caretakers. The curriculum is designed to suit the students’ needs, with their caretakers as well as special teachers at NMMC ‘etc’ supporting the tutor to facilitate their training. 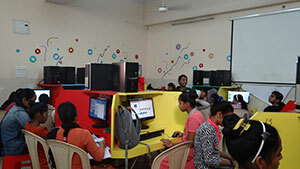 The special students are very eager to master this skill which will help them earn money and become self-reliant. ACT has also facilitated earning opportunities for our differently abled students, including an order for the students to make Rakhis which were sold at various outlets of Godrej Nature’s Basket. 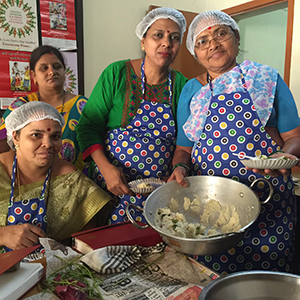 Under this program, disadvantaged women are trained to cook and prepare meals to corporates and individuals in their vicinity though tiffin services and party orders. In this program, the beneficiaries gain experience about the requirements of a catering enterprise, including setup, sourcing, hygiene standards, accounts, sales, packaging, etc. Some women also received specialist baking and cake decorating training in collaboration with corporate partner RICH. 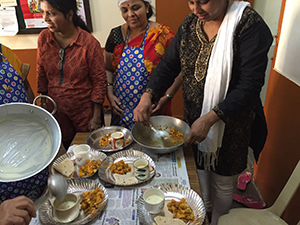 Post training, the women are encouraged to intern at a catering service which provides them sufficient exposure and confidence to set up their own catering service enterprise. ACT seeks internship opportunities and jobs at catering outlets for the skilled women. The Study Buddy project is a unique after-school study support program and is currently being run at three ACT community centers to promote excellence in school education. 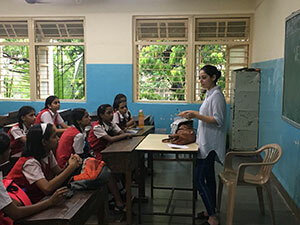 College students are enrolled to help tutor poor and needy school students, especially in the core and critical subjects of English, Mathematics, Science and Computers. 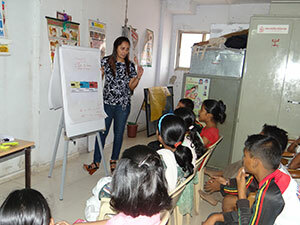 Volunteers teach the beneficiary children after school and use ACT handbooks for teaching English and Basics of Computers. ACT also conducts special English Language interventions on the weekend in government aided schools like Vidyanidhi High School. These children struggled with English speaking as they grew up in a non-English speaking environment at home. ACT volunteers now tutor 200 students every year from 5th to 8th standards, with teachers reporting their students’ learning outcomes have been enhanced across the entire curriculum. Due to shortage of funds, many underprivileged children often face the prospect of under-preparation for their state board exams. 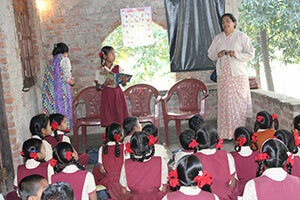 Accordingly, there is an urgent need for funds to ensure better after-school coaching within the school premises. ACT works with municipal and government-aided high schools to design a robust coaching program for fifty of the most needy students appearing for the state board exams. ACT provides support to underprivileged students by helping school authorities set up study and preparatory test schedules, by providing study material to these students, and by ensuring suitable staff hires. To do this, ACT depends on the support of its donors. 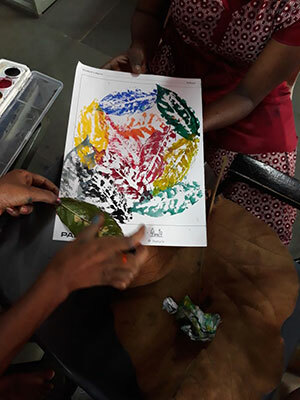 ACT uses creative learning methods like art and animation, dance and drama, story-telling, role-playing and simulation games to motivate the disadvantaged students to do holistic brain thinking. The students are encouraged to learn while having fun. The techniques inspire our children to truly engage in their education and motivate them to learn. It is a joy to see these children responding excitedly and eager for the next class. They forget their woes and trials for that brief time and are fully engaged in the two hours, which goes on over 8 sessions. 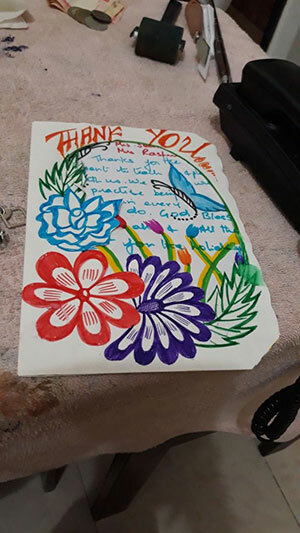 The volunteers learn about leadership, empathy, creativity, and community service when preparing and conducting these creative learning sessions. Contact us to volunteer. 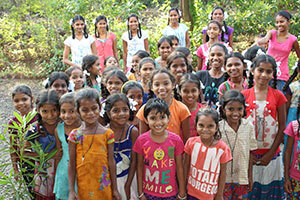 ACT successfully launched Project Sakshartaa in November 2017, to enhance education opportunities for tribal children, the majority of which are girls, in Dadra Nagar Haveli, in association with local NGO Premankur. Under this project, ACT provides after-school coaching to 345 children, 70% being girls, in government schools across 15 tribal villages. This project aims to improve literacy, writing, and comprehension skills of children who are likely to drop out due to challenges with learning in multiple languages. Our 10 tutors have seen children joining in enthusiastically, and showing marked improvement in their academic performance. We appeal for support in remunerating these hardworking tutors so that this program can successfully achieve the crucial outcomes of improving school performance and aiding retention of children in school.